The trading price for Aviva plc with ticker code: LON:AV has moved down -3.67% or -15.9 points in today’s trading session so far. Investors have so far given a mostly negative outlook throughout the trading session. The high for the period has peaked at 428.1 dipping to 406. The number of shares traded by this point in time totalled 9,792,636 with the daily average number around 8,606,707. The 52 week high is 554.6 about 121.3 points in difference on the previous days close and a 52 week low being 361.8 a difference of some 71.5 points. 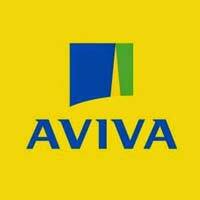 Aviva plc has a 20 SMA of 429.43 and now the 50 day SMA of 414.93. Market capitalisation for the company is £16,292.51m at the time of this report. The stock is traded in GBX. Mcap is measured in GBP. This article was written with the last trade for Aviva plc being recorded at Thursday, March 7, 2019 at 12:03:14 PM GMT with the stock price trading at 417.4 GBX. Shares in Admiral Group plc with ticker code: LON:ADM has slid -4.34% or -95 points throughout today’s trading session so far. Market sellers were not positive throughout the trading session. The high for the period has reached 2145 dropping as low as 2052. Volume total for shares traded during this period was 392,823 with the daily average traded share volume around 584,381. The 52 week high for the shares is 2227 which comes in at 36 points different to the previous business close and a 52 week low sitting at 1823 is a variance of 368 points. Admiral Group plc now has a 20 moving average of 2182.7 and now the 50 day simple moving average now at 2124.39. Market capitalisation is now £6,088.94m at the time of this report. The share price is in GBX. Mcap is measured in GBP. This article was written with the last trade for Admiral Group plc being recorded at Thursday, March 7, 2019 at 12:03:20 PM GMT with the stock price trading at 2096 GBX. Stock in Legal & General Group Plc ticker lookup code: LON:LGEN has slid -1.77% or -4.9 points in today’s trading session so far. Traders did not seem confident while the stock has been in play. The periods high has reached 275.2 dropping as low as 270.2. The total volume of shares traded by this point was 5,079,212 while the daily average number of shares exchanged is 13,561,448. The 52 week high price for the shares is 289.45 about 13.25 points in difference on the previous days close and a 52 week low being 221.8 making a difference of 54.4 points. Legal & General Group Plc now has a 20 SMA at 273.99 and now a 50 day moving average now of 260.16. Market capitalisation for the company is £16,171.82m at the time of this report. The currency for this stock is Great British pence.Market cap is measured in GBP. This article was written with the last trade for Legal & General Group Plc being recorded at Thursday, March 7, 2019 at 12:03:18 PM GMT with the stock price trading at 271.3 GBX. Shares of Prudential plc EPIC code: LON:PRU has dropped -2.08% or -33.5 points during the course of today’s session so far. Market sellers were far from a positive bunch throughout the session. Range high for the period so far is 1605 dipping to 1566. The total volume of shares exchanged so far has reached 1,219,802 while the daily average number of shares exchanged is 4,616,953. The 52 week high price for the shares is 1962 around 355 points in difference on the previous days close and a 52 week low being 1324.99 making a difference of 282.01 points. Prudential plc now has a 20 moving average of 1565.75 and the 50 day moving average now of 1509.11. This puts the market cap at £40,803.63m at the time of this report. All share prices mentioned for this stock are traded in GBX. Mcap is measured in GBP. This article was written with the last trade for Prudential plc being recorded at Thursday, March 7, 2019 at 12:03:18 PM GMT with the stock price trading at 1573.5 GBX. Shares of Ashtead Group plc company symbol: LON:AHT has dropped -2.27% or -46 points in today’s trading session so far. Traders were far from a positive bunch while the stock has been in play. The periods high figure was 2038 dipping to 1973.5. The total volume of shares exchanged through this period comes to 338,447 with the average number of shares traded daily being 1,587,614. The stock 52 week high is 2461 which comes in at 434 points difference from the previous close and the 52 week low at 1572.5 making a difference of 454.5 points. Ashtead Group plc now has a 20 SMA of 2036.7 and now its 50 day SMA of 1942.06. This puts the market cap at £9,355.31m at the time of this report. The stock is traded in GBX. Mcap is measured in GBP. This article was written with the last trade for Ashtead Group plc being recorded at Thursday, March 7, 2019 at 12:02:37 PM GMT with the stock price trading at 1981 GBX. The stock price for International Consolidated Airlns Grp SA with ticker code: LON:IAG has declined -2.38% or -13.6 points during today’s session so far. Market sellers were not positive throughout the session. The period high was 573 meanwhile the session low reached 6.66. The number of shares traded by this point in time totalled 2,381,565 with the daily average traded share volume around 9,795,484. A 52 week share price high is 727 which comes in at 154.4 points difference from the previous days close and the 52 week low at 6.66 which is a difference of 565.94 points. International Consolidated Airlns Grp SA now has a 20 moving average of 641.01 and now a 50 day MA at 633.3. 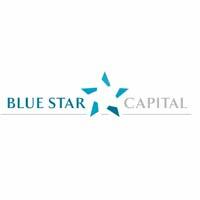 The market capitalisation is now £11,086.71m at the time of this report. The currency for this stock is GBX. Market cap is measured in GBP. This article was written with the last trade for International Consolidated Airlns Grp SA being recorded at Thursday, March 7, 2019 at 12:03:29 PM GMT with the stock price trading at 559 GBX. Click ADM AHT AV IAG LGEN PRU for the full archive.